The Rio Grande Rafting Tour is available 7 days a week. Each raft carries 2 adults and 1 small child. 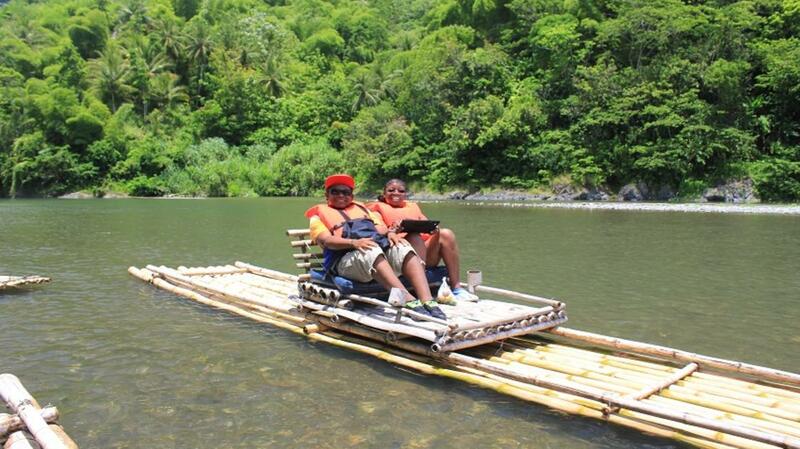 The tour begins at “Rafters Rest” and offers a 2 - 3 hour excursion down one of Jamaica’s longest rivers. For this tour, visitors should dress comfortably and be sure to pack swimwear, towel and sunscreen. Waterproof phone covers would also come in handy. Bamboo rafts were originally used to transport produce, especially bananas from the interior of Portland to the coast for export. The actor, Errol Flynn popularized bamboo rafting for pleasure purposes. 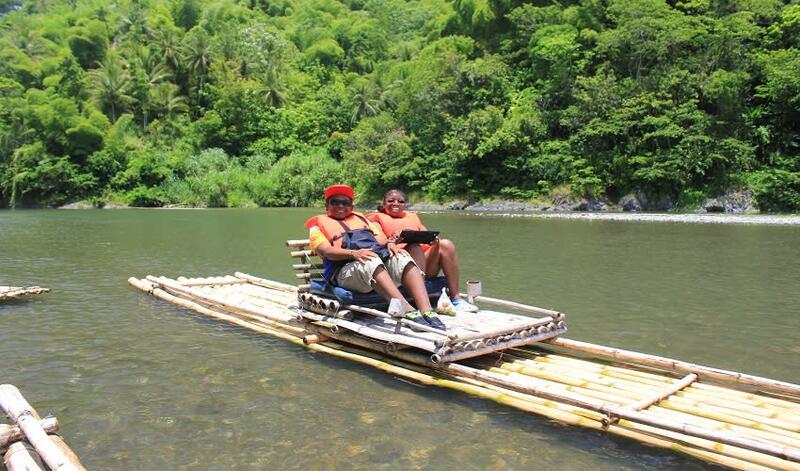 Today, the Rio Grande River Rafting is one of the most popular attractions for visitors to Port Antonio. A skilled, licensed Raft Captain will take you down the river while you relax and absorb the beauty of Portland. Your Captain may regale you with local lore and information about flora and fauna of the area. The rafts are made up of long bamboo logs bound together to make your raft about 4 feet wide and about 25 to 30 feet long. An elevated “loveseat” or “lounge chair”, also made from bamboo, provides seating for the passengers.